DISPONEMOS DE UN GRAN SURTIDO DE RECAMBIOS DE VEHICULOS ANTIGUOS. POR SER ARTICULOS MUY ANTIGUOS CARECEN DE GARANTIA DE FABRICACION, YA QUE NO SE FABRICAN EN LA ACTUALIDAD, O LOS FABRICANTES HAN DESAPARECIDO. 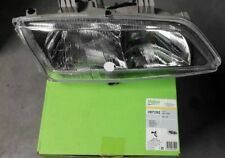 OPTICA FARO PRINCIPAL IZQUIERDA Y DERECHA HCR SIN LUZ DE POSICION NISSAN PATROL 78-90 VALEO 061308, NUEVO. TODAS LA PIEZAS EXPUESTAS ESTAN NUEVAS Y SIN USAR. DISPONEMOS DE UN GRAN SURTIDO DE RECAMBIOS DE VEHICULOS ANTIGUOS. OPTICA AUXILIAR FARO ANTINIEBLA DCHO. H1 NISSAN TERRANO II VALEO 085194, NUEVA. SE ENVIA EL MISMO DE LA FOTO. OPTICA AUXILIAR FARO ANTINIEBLA IZDO. H1 NISSAN TERRANO II VALEO 085193, NUEVA. SE ENVIA EL MISMO DE LA FOTO. Ces coques de rétroviseurs se collent sur les rétroviseurs d'origine. • Coques en platique ABS chromés. Le kit comprend . Colour: CLEAR. Picture is for reference only but normally shows precise item. Need your item within 24 hours?. Add to Favourites. We will always try to find your sale but if we have no information it's like finding a needle in a haystack! Vends Grille de calandre NEUVE. pour Nissan Patrol. ne sont utiles que pour identifier le modèle de voiture auquel la pièce de rechange doit se monter. Primastar (01-15). Trafic II (01-15). Models from 2001 to 2009 may require a wiring loom modification from 2 pin to 3 pin . UK Passenger Side - LHS. Rear Lower Light / Lens. 1 x Indicator. Position on Vehicle:Drivers Right Front. Bulb holder:Included. Open Mon-Sat. Defects:Good used. Primastar (01-15). Trafic II (01-15). Trasero inferior luz lente. Acompañante de Reino Unido - LHS. En caso de duda - sólo pregunte. 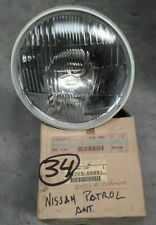 Reference OE/OEM Number 93863599. 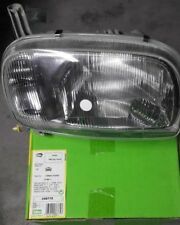 Reference OE/OEM Number_2 8200968074, 44 19 132, 6223224. PHARES CONDUCTEUR PASSAGER SANS MOTEUR NISSAN NOTE TYPE E11 DE 3/2006 A 7/2008. • Nissan Note type E11 tous modèles de 03/2006 à 07/2008. Paire de phares avant coté conducteur et passager. • Deux phares avant coté passager et conducteur. Primastar (01-15). Trafic (01-15). Models from 2001 to 2009 may require a wiring loom modification from 2 pin to 3 pin . Rear RHS Lower Lens / Lamp. Matt headlights present a serious safety risk. In addition, naturally, clear and well maintained headlights also contribute to the appearance of the vehicle and, thus, the value retention. Nissan Juke. Nissan Latio. Matt headlights present a serious safety risk. In addition, naturally, clear and well maintained headlights also contribute to the appearance of the vehicle and, thus, the value retention. Nissan Serena. Matt headlights present a serious safety risk. In addition, naturally, clear and well maintained headlights also contribute to the appearance of the vehicle and, thus, the value retention. 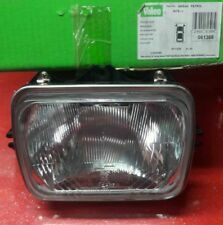 Restauración De Faros Kit De Reparación Para Nissan NV350 Lente amarillento turbia. Nissan NV350. Matt headlights present a serious safety risk. 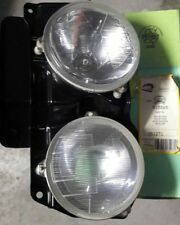 In addition, naturally, clear and well maintained headlights also contribute to the appearance of the vehicle and, thus, the value retention.